Where does the time go? It seems like only yesterday we were making plans for 2013, and now here we are at the start of a brand new year looking back at one of the busiest periods in the history of the company. 2013 flew by because we were working to achieve the many goals we set for the business at the start of the year. Marketing Manager Rosalinde Bayliss reflects on some of these achievements and takes a look at what to expect from Codelocks in 2014. Last year we saw demand for our push-button locks grow not only here in the UK, but also in the Middle East and North America. To help cope with this demand and to offer greater levels of technical and sales support locally, we made a series of appointments and office moves. In October we took on full-time sales representative Clay Gervais (or Buddy to his friends). Buddy is based out of Dubai and his role is to cover the UAE area. In December we moved our entire North American operation into bigger premises in Irvine, California. We also appointed a New Business Development manager, Steve Jones. At the moment Steve considers Codelocks as the best-kept secret in the North American access control market and he’s looking forward to changing all that in 2014! Back home we said goodbye to Roy McCawley, who retired in December. If you’ve ever attended one of our locksmiths training courses then Roy will be a familiar face. The good news is that Roy will be continuing to help with our training in 2014, more about that later on in this blog post. Jason Rogers has recently been appointed as our Business Development Manager. 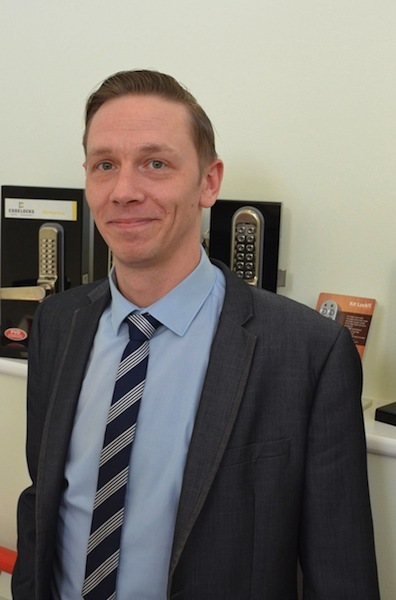 Jason previously worked in a technical sales role for a PC-based access control manufacturer. Jason sees our long-term product development plan as an exciting opportunity to extend the scope and application of digital locks into new markets. 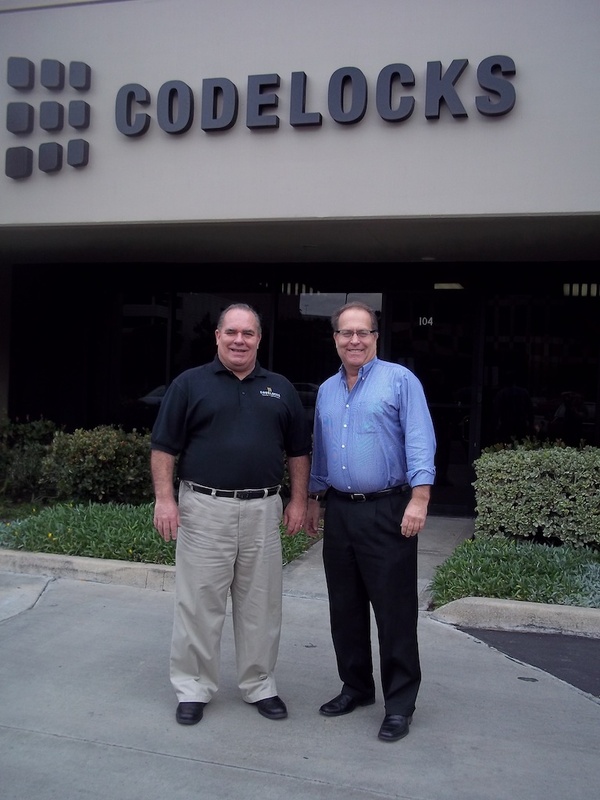 2013 was a monumental year for Codelocks in terms of the development of our products’ electronic capabilities. The goal was to make our standalone access control products easier for our customers to manage and program, especially for those with large numbers of locks under their control. In November we launched the CL5010AT, our first digital lock with audit trail capability and accompanying software. The software makes it much easier to monitor and control door access – rather than program each lock manually, user codes can be created and copied from one lock to another and updated via a USB stick. Automating the programming significantly cuts down the time it takes to manage lock settings, which in turn makes it much more likely that user codes are changed regularly. Our KitLock product range also received a makeover in 2013. Feedback from customers using our smallest cabinet lock, the KL1000, suggested that we update the button design to make it easier to key in a code correctly. 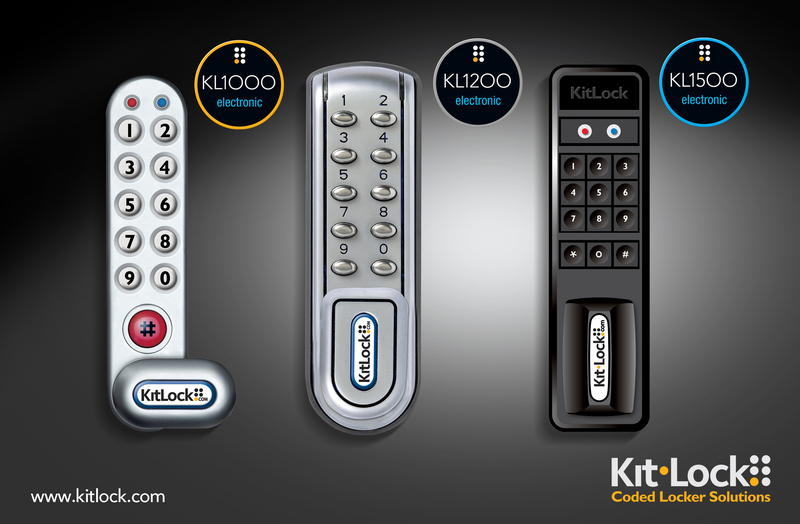 The KL1000 now has 10 individual buttons, just like its larger counterpart the KL1200. At Leisure Industry Week in September we launched a brand new lock – the KL1500. This new digital locker lock looks very different to our other two products, and, due to its patented keypad design, it can be fitted in any orientation. It boasts a ‘real time’ clock that can be programmed to automatically open after a set period of time, which is great if you want to prevent locker hogging – a problem often encountered at gyms with limited locker space. With greater control and convenience in mind, we’ve developed a web-based portal for remote code generation. The new KL1000 NetCode allows customers to register their lock on the NetCode portal and generate codes from a remote location. Once a NetCode has been generated it can be sent via SMS or email to authorised personnel requiring access to equipment or machinery locked inside cabinets. We are expecting this new product to be really popular in 2014, especially in the data centre market where data servers need to be kept securely locked inside cabinet racks, while being easily accessible to engineers for maintenance purposes. See our recent case study. In November we launched our brand new website. As well as being able to download all the installation and operating instructions for the whole product range, we’ve also added many more video demonstrations and tutorials to help make the installation process and programming easier. For example, our latest video looks at how to change the keypad orientation on the new KL1500 cabinet lock. The new website now enables us to offer discount codes, so if you are on our mailing list then from time to time we’ll send you details of our promotions. If you’d like to join our mailing list, scroll down to the bottom of the home page and subscribe to our newsletter. Our free locksmith training courses were as popular as ever in 2013, and we’ve just released the dates for the courses taking place during the first half of 2014. Visit the website for more information or to make a booking. This year we are also looking to introduce a new course to the programme, the details of which are still being finalised. The new course will be more advanced and will look in detail at some of the new features such as NetCode and Audit Trail. We’d love to hear from you if you’ve got any suggestions on how we can improve our training, please email marketing@codelocks.co.uk. What to consider when it’s time to upgrade your access control?